NBC’s TODAY Show looks at ISU’s heated concrete. Can it melt air travel headaches? Can new Iowa State technology that heats runways improve safety and help prevent airport weather delays? 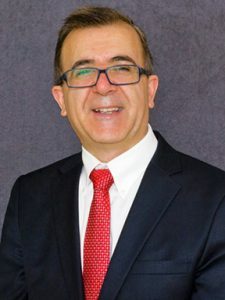 NBC’s Jeff Rossen of the TODAY Show talked with Halil Ceylan, professor of civil, construction and environmental engineering and director of the Program for Sustainable Pavement Engineering and Research (PROSPER). PROSPER is one of the 15 centers and programs at ISU’s Institute for Transportation.